OGDEN, UTAH (CelebrityAccess) — Insurance underwriters are seeking information about the mental state of Mich Jagger's girlfriend L'Wren Scott before she took her life earlier this year. Scott's suicide derailed a planned tour of Australia and New Zealand by Mick Jagger's band, The Rolling Stones, prompting them to later file a $12.7 million claim for loss. 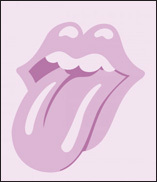 At the time of her death, Jagger was "diagnosed as suffering from acute traumatic stress disorder" and his doctors recommended that he not tour for at least 30 days. According to the Associated Press, A federal judge in Utah is allowing underwriters to gather testimony and documents from Scott's brother Randall Bambrough regarding her mental health. The Stones reportedly took a $23.9 million policy in the event that they were forced to cancel shows following illness or death of a close friend or family member, including Scott. However, the insurance underwriters at looking into Scott's mental health, saying that she might have been suffering from a pre-existing mental illness that would put her death outside of the bounds of coverage for the policy.